Dost Kitabevi is one of the very few Turkish book stores in Germany. The book store owned by Fikret Günes in the Dortmund Nordstadt, offers thousands of books written by Turkish authors, as well as their translations into german. Moreover there are even famous Western literary works, translated into Turkish. 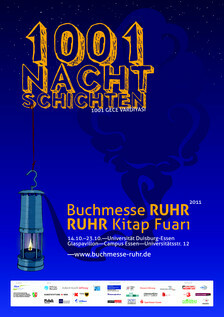 Fikret Günes also closely collaborates with the Buchmesse Ruhr. For those who are interested in visiting the bookstore, follow the link.